By 2020, online videos will make up more than 80% of all consumer internet traffic. Video is also taking over social media generating 1200% more shares than text and image content combined. When it comes to engaging your audiences – the numbers show that video reigns supreme. Responding to these trends, charities are increasingly keen to invest in video and a recent charity video benchmarking survey saw 74% of respondents claiming to see return on investment when choosing video content. Join us at this conference, to explore all things charity video – from setting up in-house production to commissioning and working with agencies. We’ll explore how charities with a range of budgets can produce bold and creative films. 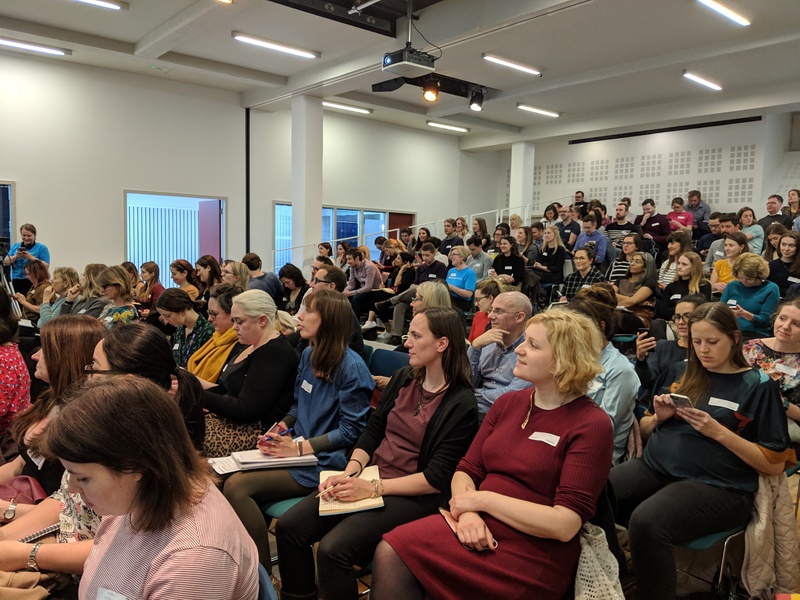 This event will suit any charity comms professionals looking to gain theory, skills and insights into charity video production and distribution and those who want to hone their skills in communicating through video. It will be streamed to suit a range of abilities and budgets so that you can tailor your day to suit your skillset and resources. Relevant job titles might include social media managers, comms, content and marketing officers, content producers, and digital officers and managers. This opening session provides insight and key learnings through an exploration of the mishaps, mistakes and mayhem that video can result in. This session will look at all stages of film making from pre-production and planning to interview technique, post-production and reaching an audience. By exploring some of the more challenging and embarrassing moments, the audience will be left with top tips and guidance for future success, for both in-house video production and working with agencies. Video as a marketing tool is constantly evolving, offering new opportunities and challenges for charities looking to harness its power. In this presentation, Ryan will highlight some of the key findings from Raw London’s latest Video Benchmark Report and discuss some of the key trends set to affect the sector in 2019. With an overview of ROI and planning and creative, you’ll walk away with a big picture view of how charities are using video – and advice on how to ensure you’re not left behind. How can film help your charity achieve its goals? In this session, we’ll hear from Steve Melia, who heads up WaterAid’s film unit. He’ll offer insights into how WaterAid goes about creating content for specific organisational objectives and how audience-driven films have helped increase engagement. The breakout session will be a chance to talk through the ways that your charity could use audience insight to approach filmmaking. Do you wish you used more video to promote your campaigns – but don’t have the budget or the equipment? If so, the answer for you could be smartphone video. In this session, Chana from the Churches Conservation Trust will explain why they decided to start using their phones to make videos, and how they have used it in some of their campaigns. You’ll also hear from Ann who will offer some of the tricks and techniques plus some vital dos and don’ts to give your smart videos a little production polish. Why do some animations move us, while others fall flat? In this session, you’ll be taken through everything you need to know about animation. From how to decide whether film or animation is right for your brief to deciding what story to tell. 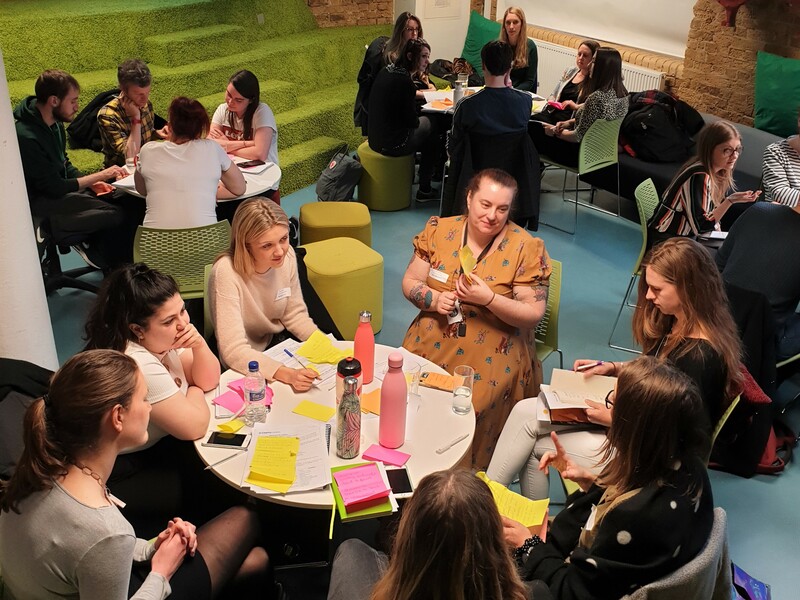 We’ll also explore some important pre-production questions including how to: develop emotive narratives, scripts and imaginative storyboards and how to pick the right music and voice for your organisation. In the age of Netflix and binge-consuming content, video series and episodic content have never been so popular. So, what can charities learn from this trend, and how can they move from creating one-off videos to video series that will reach and inspire new audiences, whilst building loyalty with existing supporters and members? Using charity case studies, we will discuss how to find the right subject matter for your video series and brand; how to grow and engage an audience; and how to distribute and promote your series across digital channels. In this session, we’ll explore the strategy and thinking behind the National Trust’s award-winning brand video campaign: Places That Make Us. In an effort to shift brand perceptions away from the National Trust simply being about nice days out, the videos focus on the impact that places have on people’s lives. We’ll also hear how the creative team got internal buy-in for the budget, how they chose and collaborated with the right agency plus some things they’ve learnt along the way about planning and production. The Salvation Army produced its first film in 1897 and set up its video production unit in 1986 – making it an early investor in video. In this session, Bridget shares some useful insights with anyone considering setting up an in-house team. She will explore many of the things you will need to consider from processes, structures, equipment and budgets, to recruiting and retaining talent. She’ll also offer advice for prioritisation and pushing back when everyone in your organisation wants a film. There will also be an opportunity to discuss your own work with peers. In February this year, Great Ormond Street Hospital Children’s Charity (GOSH Children’s Charity) launched an immersive, virtual reality film to bring the hospital to life for viewers from all over the UK. There are two versions of the film – one for families coming to GOSH for the first time, and the other for existing and potential donors so they can see the difference donations make. In this session, we’ll get the inside story on what was involved in making the film, from the project’s origins and getting internal buy-in, to the production process and results. Mark will offer this advice for any charity considering doing the same. Much like WWF bringing new levels of understanding around climate change through a documentary series with Netflix, it sometimes takes an outsider to help you identify where the opportunity lies. This talk looks at the benefits of video co-creation and how to find the right creative or distribution partner to help your audience see your issue in a new light. What should you include in your social video planning this year? In this session, we’ll explore all-things social video, from how it is consumed across different platforms to what the different user expectations might be. Chris will also look at how we can use analytics to understand what works and create better stories. Plus, there will be opportunities to discuss some of the big social-video questions, from using paid vs organic to developing scripted creative vs authentic, mobile-made video. Join Chris to explore all-things social video. As technology has evolved, it’s now possible to buy cameras which can offer great quality footage without costing the earth. From exposure, composition and shooting styles to lighting and cutaways, award-winning producer, director and filmmaker, Lucia, will offer her advice for shooting film on your camcorder cameras. As Sightsavers’ work rapidly shifted from the public conception of an organisation that protects and saves sight, the comms team recognised film as an effective way to best represent the charity’s full mission. But how to secure significant investment without clear financial return? In this session, Sarah will discuss how a small budget was secured to develop a brand film with an agency. She will talk through the planning and production process, giving best practice tips on; how to work cross-organisationally on film, managing competing priorities and passionate viewpoints, and on bringing elements in-house to make your budget go further. Suitable for: smaller to medium sized budgets and people interested in how to get internal buy-in and advice for managing internal relationships through planning and production. 3d. How do you build and connect to an audience? We’ve heard people say, “They should care about our message…we know it will resonate with them.” Well, what happens when you invest your good money into creative content but it doesn’t land how you want it to? You may be left frustrated or even blame the audience! Showing case studies from Tusko’s work, this presentation will show how the design of content and an understanding of how your audience interacts with it, is critical to creating standout work with viral potential. 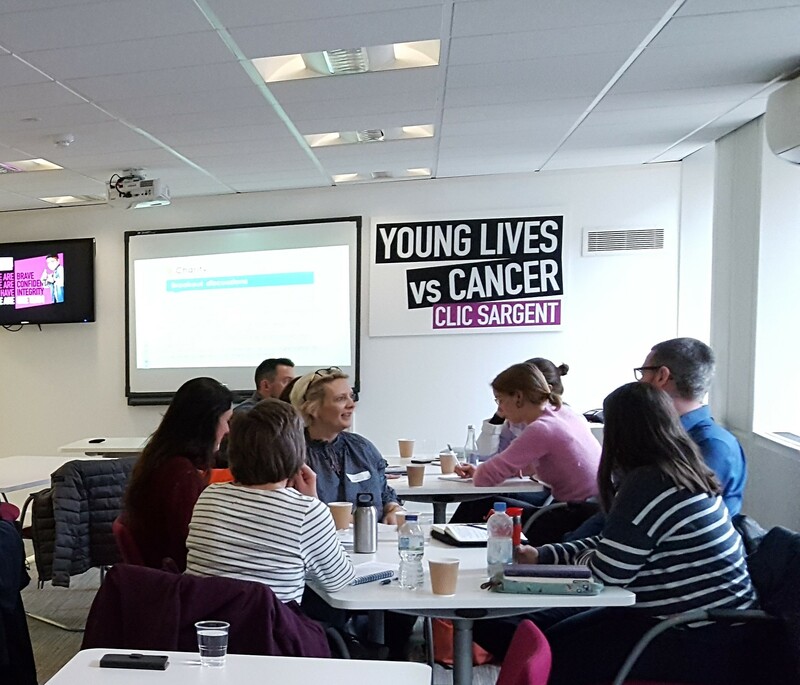 All organisations in the third sector face decisions over what types of stories to tell in their marketing, campaigns and communications. Do they go with the sad, urgent call to action or rely on a positive, inspirational approach? In this session, storytelling expert Stephen Follows will cover the science behind why certain happy stories inspire us (while others feel empty) and why some sad stories spur us to action (while others make us turn away). He will cover how to craft positive messaging in the saddest of topics, as well as building emotional and meaningful messages when all you’ve got to work with are contented happy people. Charities can sometimes inadvertently perpetuate stereotypes about the people they portray in their communications. Even within the same organisation, there can be conflicting opinions about how best to create content that will both inspire external support and empower the people they seek to support. This panel will explore how depictions in film can shape public perceptions positively and negatively. We will also discuss how we can avoid some of the common pitfalls and challenge stereotypes in our communications. Panellists will discuss the issues from diverse perspectives, from using traditional filmmaking to adopting participatory approaches to involve beneficiaries in the video making process to represent them fairly.